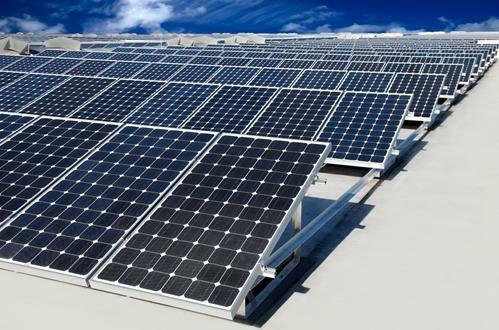 Udall introduces bill to promote community solar garden investment | West Coast Solar, Inc. Anyone who has followed the Northern California solar industry may be aware that there is growing interest in community solar gardens, which allow those who live in homes where rooftop solar PV systems are not an option to take advantage of the financial benefits of this technology. In an effort to promote investment in community solar gardens, Sen. Mark Udall of Colorado has introduced the Solar Uniting Neighborhoods (SUN) Act, a bill that would grant the same tax credits to participants in those programs that are given to citizens who have rooftop panels installed on their home. Community solar gardens are a useful solution for anyone living in an apartment or a home with a roof that is obstructed by other buildings and trees, making it inviable for solar. Customers with an electrical meter can buy a panel in a solar garden, and receive the same per-kilowatt-hour rebate that is given to those with panels atop their houses. But Sen. Udall’s bill would also allow participants in a solar garden to receive a 30 percent individual renewable energy federal tax credit. If enacted, the bill could dramatically expand California residents’ access to the economic and environmental advantages of solar energy. For more information on how your neighborhood can benefit from this technology, contact West Coast Solar today.